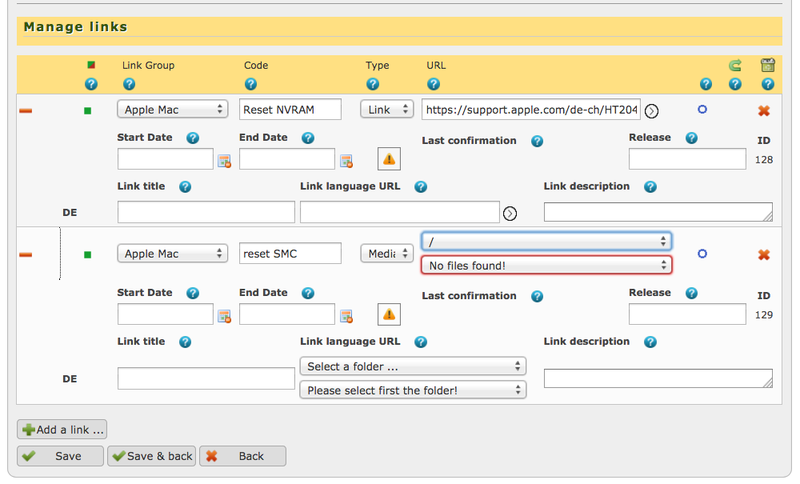 Description Within this admin tool you can define link groups and ading links into defined groups. A link can be an external URL, a file in the media folder or an internal page (and section) link. Links can be either global or language specific. You can enable/disable a link as well provide an validation date range. Both groups and links can be re-arranged by drag & drop sorting. Info Here you just define your links. Which of the groups you show where and how is handled in page module "linker_view". + new field "Collection", which allows to build up group of link groups. Collections can also be used in module "linker_view"
Details about new Collection and Release feature can be found in LEPTON forum thread.